This is a completely customized ice skating and hockey theme wedding cake topper ordered by one of our customers. The bride is in her wedding dress wearing figure skates and tapping the groom on the shoulder in a similar pose to the image our client offered. Also bride is in her dress with her ice skates slightly showing under her wedding dress. The groom is in a pose like the other figurine the client showed but turning to look over his shoulder at her, in black tux and with turquoise tie and turquoise handkerchief and wearing hockey skates, gloves, holding helmet and stick. Base is white, like ice. For bride’s hair, they will use a prof hairdresser to put up in a French twist, but less messy. Are you ice skating fans? 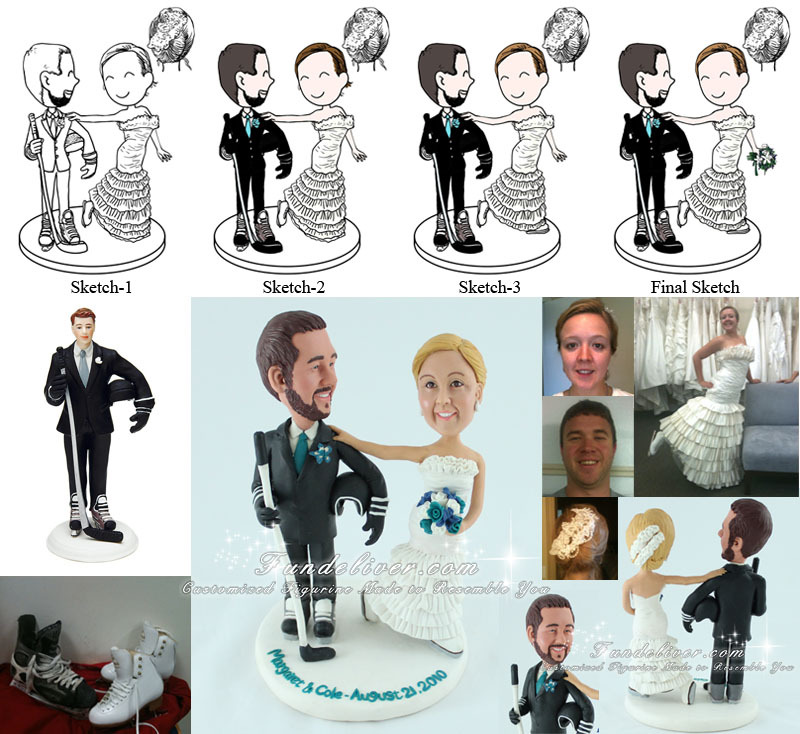 Why not try your own ice skate cake topper or ice skating cake topper. 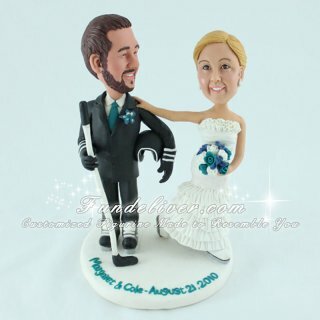 This wedding cake topper will add a perfect touch on your ice skate theme wedding as ice skaters.